Carrying a pair of binoculars won’t always be a nuisance for enthusiasts wanting to see the perfect view whether it be for birds, nature, wildlife, sports events or simply looking at your hunting target. However, carrying along a too “heavy” binocular for long hours would weigh down even the most avid of hobbyists. When you feel like you’re being dragged down by a heavy load with your binoculars, switching to a “lighter” pair will always spring a sigh of relief. If you don’t have an extra pair available, it is high time you consider buying yourself one. To give you some ideas on which one to buy, we have listed down the top 10 best lightweight binoculars below. Check them out! CLICK HERE to go to Amazon for our #1 Lightweight Binoculars, the Bushnell Legend Ultra HD 10×25 Compact Folding Binoculars, and see the latest price PLUS any available DISCOUNT! 2.1 What Is The Canon 10×30 Image Stabilization II Binoculars Good For? 2.2 What Do Users Like With The Canon 10×30 Image Stabilization II Binoculars? 2.3 What Users Don’t Like With The Canon 10×30 Image Stabilization II Binoculars? 2.4 What Is The Steiner AZ830 Good For? 2.5 What Do Users Like With The Steiner AZ830? 2.6 What Users Don’t Like With The Steiner AZ830? 2.7 What Is The Leupold BX-1 Yosemite Porro Prism 6×30 Binoculars Good For? 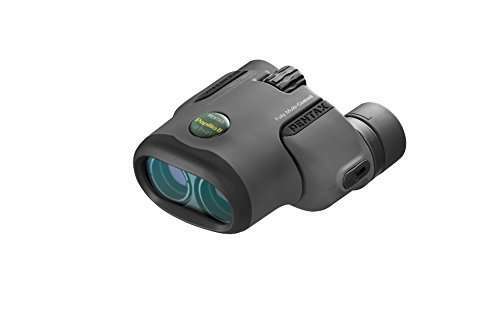 2.8 What Do Users Like With The Leupold BX-1 Yosemite Porro Prism 6×30 Binoculars? 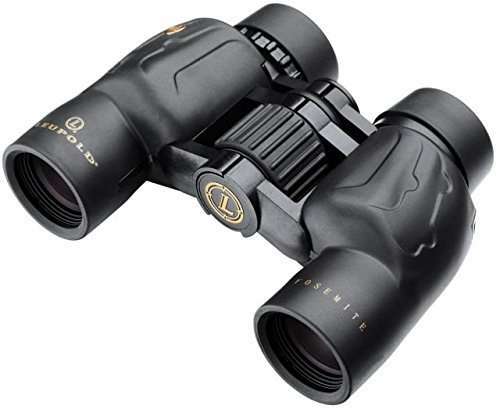 2.9 What Users Don’t Like With The Leupold BX-1 Yosemite Porro Prism 6×30 Binoculars? This Top 10 list is derived based on the binoculars’ weight primarily and of course the user rating should be high (above 4.5 stars) plus the number of users should be at least five (5) people to make the list. Check them out! With a weight of 1.35 pounds (21.6 ounces), our 11th place position is taken by the Nikon 7577 MONARCH 5 10×42 binocular. It has a very high user rating of 4.8 from 127 users so it must be really, really good. It has a decent field of view of 288 feet and quite a long eye relief of 18.4mm so this binocular is good for those who wear eyeglasses. With more than a hundred users rating this binocular really high, you can never go wrong with the Monarch 5 10×42. In 10th place, having a weight of 1.323 pounds (21.16 ounces), is the Canon 10×30 Image Stabilization II Binoculars. It is a Porro-prism type binocular that has superb image stabilization (IS) features which makes for sharp, virtually distortion-free images from edge to edge. With its pretty decent field of view, this binocular is ideal for bird watching, travel, sports and other related outdoor activities. It has an average rating of 4.6 stars from 50 users which is an indication that this is a great product. What Is The Canon 10×30 Image Stabilization II Binoculars Good For? What Do Users Like With The Canon 10×30 Image Stabilization II Binoculars? Awesome optics quality, bright and clear images! The binoculars themselves are wonderful and the IS feature is really worth it! Once you’ve experienced the IS feature, you won’t go back to using ordinary binoculars! The image stabilization allows the eyes to focus on details of the object being viewed, really amazing! Compact and easy to grip! What Users Don’t Like With The Canon 10×30 Image Stabilization II Binoculars? 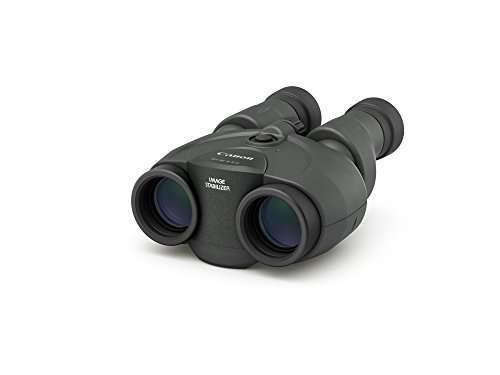 With an average product rating of 4.7 out of 5 stars from users (74% 5 stars, 11% 4 stars) and the amazing image stabilization feature, the Canon 10×30 IS II binoculars, optics-wise, is a great product. However, people who have bought and used these binoculars have experienced coating problems even when observing the utmost care while using or storing them. The sticky mess they turn into and the manufacturer’s lack of customer support plus the high charge for repair, just don’t seem too impressive. With the issue on the rubber cover, we would not recommend this binocular, so go with your instincts. In saying that, there was a solution mentioned by a user with regards to the rubber cover. You could wrap it with a McNett Tactical Camo Form Protective Camouflage which seems to work well. Check out the protective cover here to find out more about it! If you’re happy that this will sort out the issue on the rubber coating and want to go ahead with this binoculars from Canon, click here to go to the product page or click the image below. 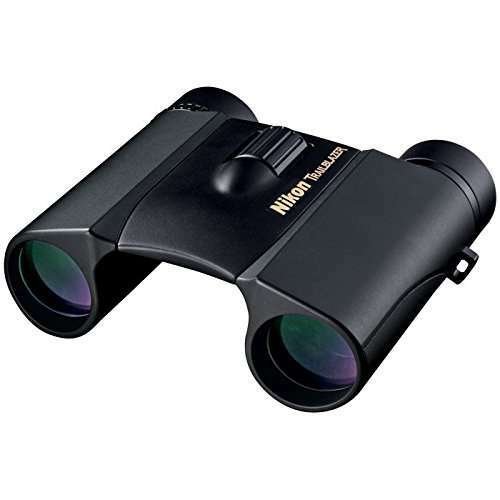 Coming in at 9th position is a binocular that has got a very high user rating of 4.7 stars, with a weight of 1.2 pounds (19.2 ounces), the Steiner AZ830 Binocular. Comfortable to carry because of its compact design. It could fit neatly in your pack. Sports-Auto Focus System which lets you focus each eyepiece to your vision once and then keeps images razor sharp from 20 yards to infinity. No more chasing focus on moving objects! What Is The Steiner AZ830 Good For? What Do Users Like With The Steiner AZ830? The autofocus feature is amazing and works well, love it! What Users Don’t Like With The Steiner AZ830? The Steiner AZ830 binocular is generally loved by people who purchased them. It has an average rating of 4.7 stars with 84% of them giving the product a 5-star rating which tells you that it is indeed a quality piece of equipment. With awesome capabilities at a price that is inexpensive plus a very high and positive user rating, we highly recommend you check out the Steiner AZ830 in this link if you’re looking for a lightweight and compact model. With just a shade over one pound, the 8th position is occupied by Leupold BX-1 Yosemite Porro Prism 6×30 Binoculars with a weight of 1.063 pounds. It has a pretty high average user rating of 4.8 from 97 user reviews. 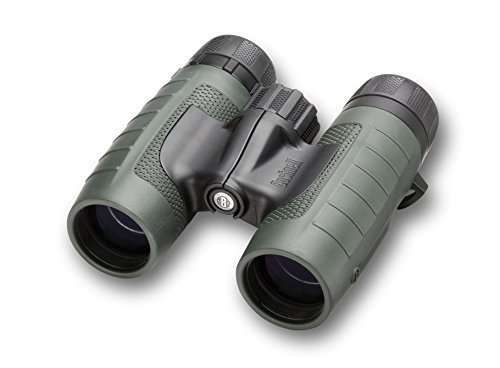 In all of the lightweight binoculars in this list, this one has the widest FOV at 420 feet so if you prefer to see more of the views, this binocular will definitely give you what you want. It also has a long eye relief at 18.5mm which is excellent for those who wear glasses. What Is The Leupold BX-1 Yosemite Porro Prism 6×30 Binoculars Good For? What Do Users Like With The Leupold BX-1 Yosemite Porro Prism 6×30 Binoculars? What Users Don’t Like With The Leupold BX-1 Yosemite Porro Prism 6×30 Binoculars? 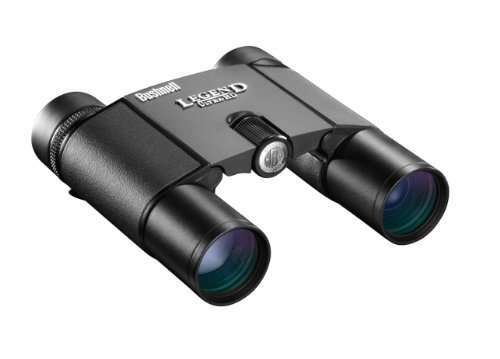 The Leupold BX-1 Yosemite Porro Prism 6×30 binoculars has left a very good impression on people who had purchased this product. Users are happy with the lower magnification which means less shaking with wider field of view available. They are also very happy with the very clear, bright glass. The 3-dimensional effect on objects you view, which gives it more detail and vibrant than real life, is also a feature noted accordingly by people who bought them. Users who are glass wearers are very happy as well with the available eye relief and said that they have no hard time using the Yosemite with their glasses on. It is also worth mentioning that majority of the users were not disappointed with the performance of these optics and have exceeded their expectations by quite a big margin. There were users who have tried to use these pair out on the street at night with only street lights and porch lights on and they were amazed on the details this Yosemite have pulled through compare to the naked eye. There is one particular thing though that users are saying with regards to the focusing ring. They noticed tightness around midpoint when they first used them. Having said that, the tightness seems to go away after you focus it once or twice. With all of its great features, a very high satisfaction rating and great reviews from verified users, we highly recommend the Leupold BX-1 Yosemite Porro Prism 6×30. Click this link to check out the product page in Amazon or click the image below. From 7th to 1st place is where you would find binoculars weighing less than a pound. So if you’re really looking for light-as models, be sure to check all of them out. Going back to our listings, in 7th place is the Bushnell Trophy XLT Roof Prism 8x32mm Binoculars with a weight of 0.969 pound. It has a wide field of view of 393 feet and long eye relief @ 16.5mm. 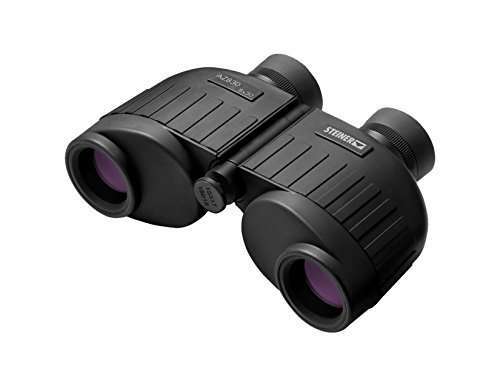 This binocular is rated at 4.6 stars from 111 users so pretty impressive! What Is The Bushnell Trophy XLT Roof Prism 8×32 Good For? Spotting wildlife or animals like seals, owls, deer, otters, etc. What Do Users Like With The Bushnell Trophy XLT Roof Prism 8×32? What Users Don’t Like With The Bushnell Trophy XLT Roof Prism 8×32? Although there are really great reviews from many users for the Bushnell Trophy XLT 8×32 binocular, the negative things mentioned above were pretty significant. Also, there were considerable cases of physical damage as reported by some users (like scratches on the eyepieces, lens came out, lenses are not clear, broken objective lens, etc.) when they received the product or when they use it the first time. With its relatively low product rating of only 4.3 out of 5 stars and substantial negative experiences from various users, you should be cautious with this binocular. If you want to go ahead and look at the product page, just click the image below. Occupying the 6th place position are the Pentax Papilio II Binocular series. Although the 6.5×21 model should technically be at this position, we intentionally included the 8.5×21 model as well because they have the same weight. The 6.5×21 has a higher user rating of 4.9 out of 5 stars from 34 users compare to the 8.5×21 which got a 4.8 from 29 users. Nevertheless, these two (2) models are definitely highly rated binoculars so you can’t go wrong with either of them. The Papilio II series binoculars have a very near close-focus capability – 1.7 feet – which is why users love to use them to look at insects and butterflies. What Is The Pentax Papilio II 6.5×21 Good For? What Do Users Like With The Pentax Papilio II 6.5×21? What Users Don’t Like With The Pentax Papilio II 6.5×21? Notwithstanding the things that other people stated as negatives for this equipment, most of the users of the Papilio II 6.5×21 are very ecstatic and common in saying that it is an incredible product which gives great performance in the field. With its size and outstanding optics, it is the ideal device for travel and pretty good to keep in your vehicle when you want to view those spectacular views along the way. The near-focus feature of this binocular has amazed the people who bought it and by using it, they have discovered other areas to use this capability as well – all for their amazement of course. If you want a handy backup for your big unit that doesn’t lack in performance and appropriate enough to bring along with you in your backpack for those unexpected times, the Pentax Papilio II 6.5×21 is a great choice. With its really high user rating and outstanding evaluation from verified purchasers, we highly recommend this lightweight binoculars from Pentax. CLICK HERE or the image below to check out the Pentax Papilio II 6.5×21 product page in Amazon. 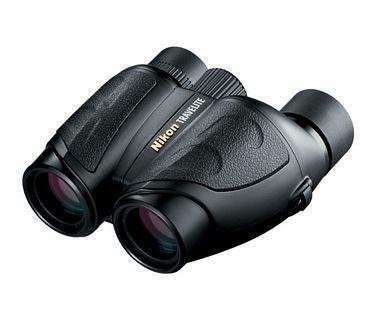 Having a weight of 0.619 pound, the Nikon 8218 Trailblazer 10X25 Hunting Binoculars landed 5th in our list. This is an all-terrain-binocular that is waterproof and fogproof with a sleek and lightweight body. It has a really good user rating, 4.7 out of 5 stars from 170 users which is really incredible. The binocular package comes with a case, strap, small lens cover and cleaning cloth. What Is The Nikon 8218 Trailblazer 10×25 Good For? What Do Users Like With The Nikon 8218 Trailblazer 10×25? What Do Users Don’t Like With The Nikon 8218 Trailblazer 10×25? Despite some things that users don’t like about the Nikon 8218 Trailblazer, the overall user satisfaction for this product is really high. More than 200 people who bought this binocular rated it at 4.6 out of 5 stars. Based on great reviews and its high user rating, we highly recommend you check out the 8218 Trailblazer 10×25 from Nikon. CLICK the image below to go to the product page. In 4th place is the Travelite VI binocular series from Nikon. Same as what we’ve done with the Pentax Papilio II series binoculars, we grouped the Travelite series in one rank as they basically are in the same group. The Travelite VI models in this position are the 8×25, 10×25 and 12×25. The 8×25 is the lightest in this series with a weight of 0.581 pound, followed by the 10×25 with 0.594 pound and last, but not least, is the 12×25 with a weight of 0.606 pound. They are not weather or water proof. It comes with a nice nylon soft-padded case w/ a Velcro closure. What Is The Nikon 7277 8×25 Travelite Good For? What Do Users Like With The Nikon 7277 8×25 Travelite? What Do Users Don’t Like With The Nikon 7277 8×25 Travelite? Below are the things that users found not to their liking. No strap for the eyepiece caps so they don’t stay on and can be easily lost or misplaced. 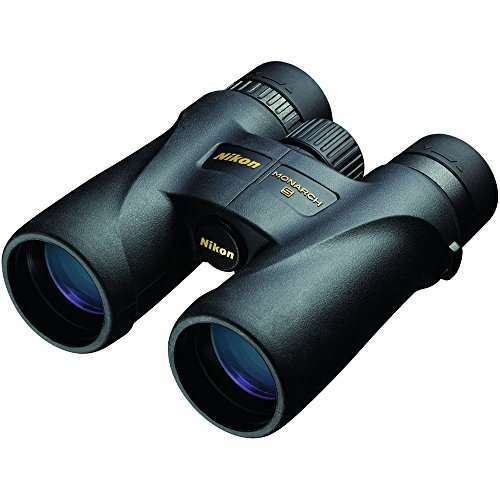 Users are common in saying that for such a small and light binocular, the Nikon Travelite 8×25 gives you really clear views and it’s got really nice optics. 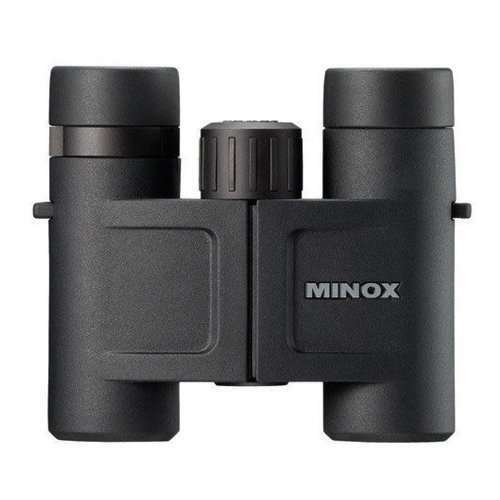 Basing on users’ experience, comments and product rating, the price to performance ratio of this binocular is really good so we highly recommend you check it out if you’re hunting for a lightweight binocular. 3rd place is occupied by the BV 8×25 from Minox with a weight of 0.571 pound. This is one of the most popular Minox models and we have a very comprehensive review of it in this article. Users love this lightweight and compact binocular so go ahead and check it out. CLICK HERE to BUY the Minox BV 8×25 at Amazon @ a GREAT PRICE and any available DISCOUNT! 2nd place is taken by the Bushnell Powerview 8×25 Porro Binocular with a weight of 0.569 pound. More than two hundred (200) users have evaluated this binocular and they ended up with an average rating of 4.6 which is an incredible achievement. The package comes with pouch (or case), neck strap, cleaning cloth and lens covers. NOTE: If the eyecups won’t fold down when used with glasses, you have to put rubber bands and hold them down overnight and give it a little heat using a hair dryer. This will help stretch them out a little to make it more comfortable for glass wearers. What Is The Bushnell Powerview 8×25 Good For? What Do Users Like With Bushnell Powerview Porro 8×25? What Do Users Don’t Like With Bushnell Powerview Porro 8×25? Some people found the following points not to their liking. Take note of them as they might be applicable to you as well. The Bushnell Powerview 8×25 Porro binocular is a compact and lightweight binocular that is designed for general outdoor purpose use. It is a great product with high-quality optics however, because of its size and magnification, it has its limitations. Of course, if it is used by someone or for something that it is not intended for, there will be issues. Try to take note of the points we’ve laid out above so you’ll be properly guided with regards to this binocular. And in our top spot is the Bushnell Legend Ultra HD Compact Folding Roof Prism Binoculars, 10 x 25-mm, Black with a weight of 0.506 pound. It has a high user rating of 4.7 stars, coming out from the more than 60 people who bought it. This is a compact-folding binocular that has excellent quality optics that provides stunning and high definition, super clear images. What Applications Is This Binocular Good For? What Users Like With Bushnell Legend Ultra HD? We’ve researched on actual users and listed below the different things that they like about the Bushnell Legend Ultra HD. What Users Don’t Like With The Bushnell Legend Ultra HD? 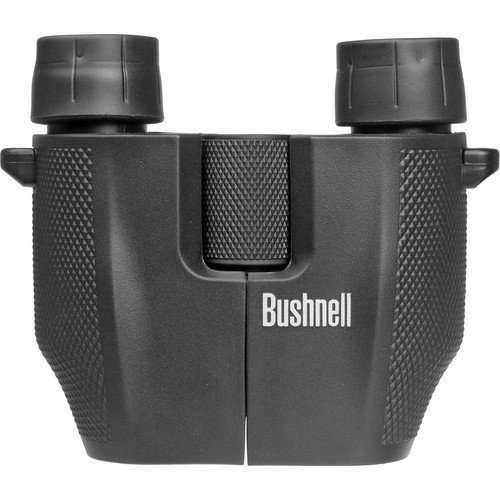 If you’re looking for a lightweight and compact binocular with a very good price, then this model from Bushnell ticks all the boxes! With great evaluations from users and high product rating, we highly recommend you check it out by clicking the box below. Based on the above list, the weight of the binoculars range from half a pound to less than one-and-a-half pounds – men, these are all lightweight! From 1st place up to 7th place, all binoculars weigh less than a pound. You might notice in 4th place, we just put the Nikon Travelite models in the same rank because they are from the same series anyway, so no need to rank them differently. The user ratings are all on the upper end of the 5-star rating as well, with the lowest rated binocular having a 4.5 rating. The number of user reviews is pretty high as well which means that the product rating was based from a significant number of people. You can sort the table by clicking the arrows on the columns. If you want to see which model got the longest eye relief or the widest field of view, just click on relevant columns and you’ll see the table adjust accordingly. The shortest close focus capability is 1.7 feet! Looking at different things using a binocular is indeed a wonderful and pleasurable hobby. However, carrying a heavy binocular for long periods of time may negate the fun in it and would make you feel tired about it. Having a pair of lightweight binoculars is a great solution for this dilemma. It would never take away the enjoyment on your outdoor activities. As a guide, we have provided a list of the Top 10 Best Lightweight Binoculars to help you on your search for that perfect lightweight model. The lightest being the Bushnell Legend Ultra HD 10×25 Compact Folding Binoculars. Hope you find this valuable and see you on our next coming articles.